If you struggle to get enough greens in your diet or have a child that claims a sudden allergy to anything green then don't despair. There are plenty of easy ways to introduce greens or sneak them into their diet. Green smoothies are an easy 'go to' snack or mini meal that can boost your intake of daily greens without the fuss of prepping a full meal when you're short of time. Greens are also very child-friendly when blended up with other flavorful ingredients such as pineapple, bananas, coconut water or dates. Nuzest Good Green stuff contains over 75 ingredients from carefully selected fruits, vegetables and herbs – with added vitamins, minerals, probiotics and antioxidants for optimal health - a great way to increase your daily vegetable intake and get an added energy boost. 1. 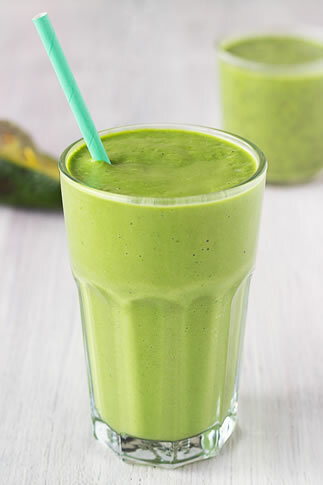 Add the banana, lemon, ginger, spinach and liquid into a blender. Mix until smooth. 3. Serve into a tall glass and enjoy!